Restorative dentistry, sometimes referred to as corrective dentistry, is especially designed for the repair, strengthening, and replacement of teeth. A patient may need a restorative procedure due to partial or complete tooth loss, cracked or broken teeth, or after undergoing a recent root canal. For people living in North Seattle or Kenmore, WA, and who are experiencing any of these dental issues, Dr. Emerson and North Seattle Restorative and Preventive Dentistry can help. Dr. Emerson and her comprehensive dental team have been highly trained in providing improved dental health which results in a higher quality of life. They take great care to incorporate the individual needs and decisions of patients concerning their dental options, and Dr. Emerson uses cutting edge instruments and equipment for all restorations. Dental restoration choices vary greatly in quality and cost, particularly for cases involving the best materials and expert laboratory clinicians. We strive to provide options best suited to each patient’s budget needs. Composite bonding uses tooth-colored resin to repair a tooth that is chipped, fractured, or decayed. This is generally used for the front teeth that are visible when smiling or speaking. Amalgam fillings are traditional metal fillings placed in a tooth following treatment for a cavity. These are often placed in back teeth which are less visible to others. 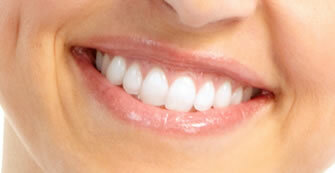 Veneers are strong, tooth-colored layers of porcelain which are placed on teeth which are fractured or cracked. Veneers not only restore teeth to their original appearance, they also strengthen teeth and serve as a shield against additional damage to the inner dentin of the teeth, i.e., inner soft tissue of the teeth. The end result may be subtle or dramatic (cosmetic), and the restored durability and function can last a lifetime with proper daily care and monitoring by your dentist trained in prosthedontial care. Dental implants are the ideal solution for tooth loss as a result of severe decay, facial trauma, or a wide range of other reasons. Through a surgical procedure, titanium screws are attached to the jaw bone; then dental crowns are placed onto the titanium screws. Implants are replacement custom-designed, fitted teeth which significantly improve the function and appearance of a patient’s teeth and smile. 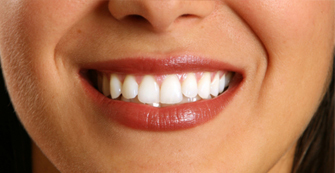 Full-mouth reconstruction is the process of fully restoring a patient’s teeth and smile toward a level of perfection. This is done through a combination of bridges, crowns, composite bonding, porcelain veneers, and/or other restorative treatments. Dentures are the common solution for partial or complete tooth loss. They are custom-made to closely resemble or improve a patient’s former natural teeth in structure and appearance. The end result is a set of artificial teeth which are entirely comfortable, attractive, and fully restore natural chewing ability. Remember: The quality of dental care, materials, and lab work is important for restoration of fully functional, healthy, and comfortable teeth, as well as a successful smile. 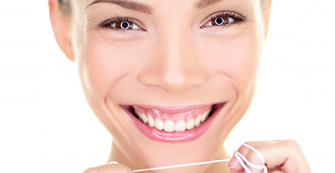 You are in control of taking the first step toward utilizing the best dental care available. 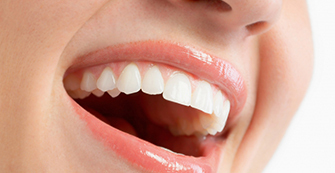 At North Seattle Restorative and Preventative Dentistry, we understand that patients’ oral health and genetics dictate some of their parameters. Based on these individual characteristics, we help patients determine the best options for their necessary repairs in providing full dental function and comfort along with restored facial appearance. Together we can design your dental health and new smile! Call your north Seattle and Kenmore dentist at North Seattle Restorative and Preventative Dentistry to explore your restoration and general dentistry options. You can learn more by viewing our restorative gallery at this website. The photos of our patients before and after our dental treatments show what we can do.